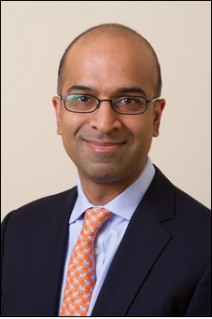 Professor Guhan Subramanian ’98 will be the new chair of the Program on Negotiation (PON) at Harvard Law School. Subramanian holds appointments at both Harvard Law School, where he is the Joseph H. Flom Professor of Law and Business, and Harvard Business School, where he is the H. Douglas Weaver Professor of Business Law. As chair of PON, he will succeed Robert H. Mnookin `68, Samuel Williston Professor of Law at Harvard Law School. The appointment will be effective on July 1. Click to read the full article on Harvard Law Today.